Should I Or Shouldn’t I Build My Own Website? It started six months ago when I had decided to start private practice. One of the first things on my “to-do” list was to create a website. Being a recent graduate with a lot of student debt, but not a lot of experience coding, I decided to go with Square Space. At first, it seemed like the perfect website builder, very easy to use and cool themes. But, I learned that when I wanted to change or add something to the design it was impossible or extremely difficult to do. And don’t even get me started on the limitations for SEO! These issues, PLUS the fact that many of my friends did not understand why I was paying a company to build my website when they built theirs cheaply by themselves… made me stress out….. majorly! Now when I stress out I try as quickly as possible to release the stress. So, true to form, I canceled my account joined wordpress.org and told myself if other people can do this so can I! Yet, within four hours I realized I made a HUGE mistake. It would take me hundreds of hours to learn and create a professional looking website and that’s not even considering figuring out SEO. Instead of releasing my stress, I added more!!! For me, Brighter Vision is the best choice. 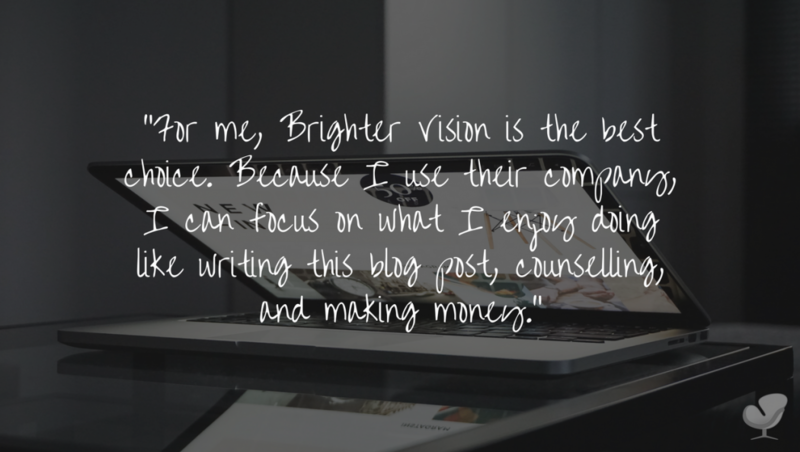 Because I use their company, I can focus on what I enjoy doing like writing this blog post, counselling, and making money. I know that my website and SEO are taken care of and that peace of mind is priceless. http://www.brightervision.com/joe and get the first month free! 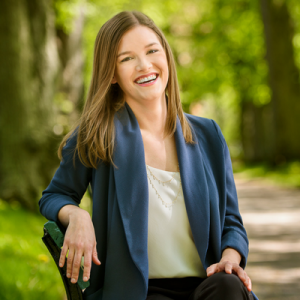 In October Julia moved from Northern BC to Halifax, Nova Scotia to live out her dream of living on the east coast and starting private practice. Julia looks forward to a long relationship with Brighter Vision and loves her completed website. No regrets! Click here for her Halifax Counsellor website.